Here are some custom orders I did this week that turned out really great. These were the customers own ideas. I love it when you all get creative! 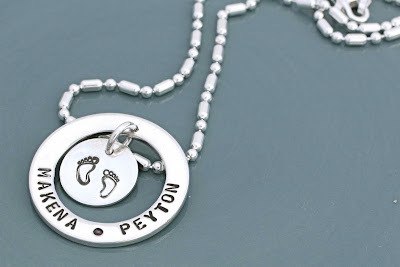 Just remember– we can custom make almost any charm you would like. 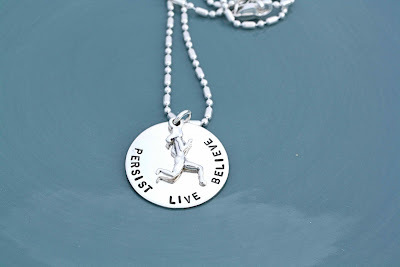 For the runner, for the mom, for the friend, for the daughter, for whoever! For this one the customer asked that we drill a hole through the Hollow Circle Charm so we could hang another charm in the middle. I had never done that before… but I think it turned out quite nice.